Striking wild-life and tropical foliage is often associated with the exotic locale of Rio. Birds sporting a veritable rainbow of colors in their feathers, lizards and geckos that can literally disappear right in front of your eyes and lush bushes and flowers in eye-popping shades of red, pink, yellow and blue abound. Why not introduce one of these fun icons of South America through the use of unique door handles or hand-woven textiles, for example. 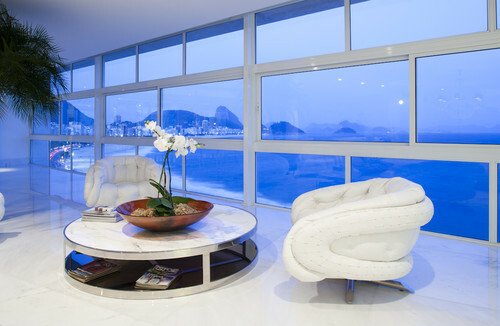 A neutral decorating scheme will allow the spectacular view to take center stage as seen here. 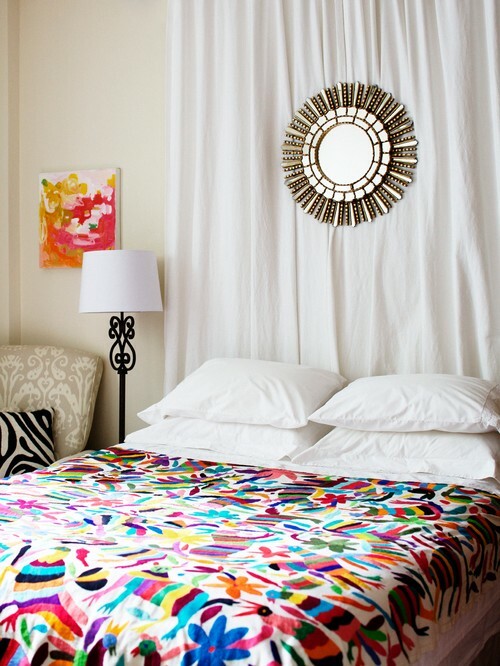 While the addition of those colors and patterns that reflect the party atmosphere and general joie de vivre associated with the area will add a bit of sass and excitement. Regardless of your design style or the decorating trends that will surface after the games are over, we are, no doubt, in for two weeks of very exciting TV viewing.